Having a support system is essential during your cancer battle, and these five types of friends are just the people you'll need by your side to help you get through it. When I told relatives and friends about my diagnosis of Stage III breast cancer, I felt like I earned a psychology degree in short order. Friends’ emotions ran the gamut--some feeling sad, angry or pitying; others falling over themselves to help; some pulling away because my problems seemed too heavy to handle. I learned that everyone has the right to look at cancer through their own lens of experience, but there are five types of friends that I want to stay in my corner throughout my year of intensive treatment. From the day of my diagnosis, my confidants were the two friends I turned to when it’s time to cry, vent or relate the latest news from the doctors. My confidants listen and keep my secrets. They will ask when I want to be alone and when I want company (and lunch), and they respect my boundaries. After I announced I had breast cancer, friends, neighbors, relatives and even casual acquaintances came out of the woodwork to offer help. Yes, I wanted to accept, but I was so overwhelmed with my medical care that I couldn’t respond to the offers. A friend stepped in as an organizer and set up a meal-delivery schedule that has been a lifeline for my family. Organizers can also set up a system where friends are assigned a certain week to check up on you or shop for groceries, drive you to the hospital, do light housework or watch your kids during treatment—all while taking the logistical stress off you. On top of all the help, you’ll also get deluged with messages from well-wishers—and from people who have Googled your type of cancer and are eager to provide a sure-thing treatment. That’s where the gatekeeper can keep you sane. My husband has been my gatekeeper, many times handling phone calls and emails when I don’t have the energy to repeat the same news. Don’t be afraid to lean on your gatekeeper for a “Thanks, I’ll let her know” when well-meaning friends want to second-guess your doctors or push the latest gimmick. Sure, I’ve lost my beloved long hair, I’m sick from chemotherapy and I’m staring down the barrel of a mastectomy. But that doesn’t mean I want to stay sad all the time. I know I need cheerleaders in my life shouting, “You’re still beautiful!” and “I am praying for you!” That’s where my Facebook friends have come in. I asked them to send me funny videos and articles to keep up my spirits, and they have delivered. Make sure to keep your heart open to optimistic friends, ones who will give you a genuine smile because they care about your recovery. Immediately after my diagnosis, I contacted two friends who are breast-cancer survivors. I knew they would understand my ordeal better than anyone else. You’ll get your best advice from the one who’s been there. 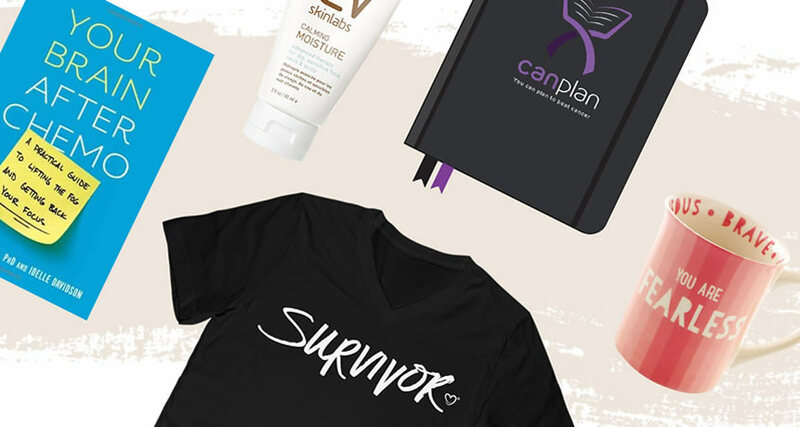 They know the tricks for combating chemo nausea and fatigue, the best places to get wigs and hair scarves, the best resources for making decisions on surgery. If you don’t know any survivors, ask your hospital to refer you to nonprofits or websites like IHadCancer.com, where a community of cancer fighters and survivors can connect. Cancer feels isolating, and you’re the one who ultimately has to endure the treatments. But family and friends can lift you up if you let them. I’ve learned to reach out with both my sorrow and my happiness, and these human connections have allowed me to wake up every day fighting—and to envision a future beyond my cancer. What friends or family did you have by your side during your fight with cancer? Tell us about them in the comments below! Photo courtesy of Ben Duchac. Rita Woker is a Stage III breast cancer survivor living in suburban Chicago with her husband and two sons. She is a part-time project coordinator for a nonprofit that runs afterschool clubs teaching elementary kids about character development and volunteerism.